We get a fair number of link requests from people hoping to build their Page Rank, but this one is a bit more compelling. It offers something useful: replace a dead link with one to our site. When I get a request like this I tend to think about how it came about. Did this person actually visit our post, find a dead link and then look for useful content that could replace it? Was it a bot? I can never tell for sure, but in this situation I think there is a somewhat interesting story behind the link request. The site that went down, doshdosh.com was an extremely popular web marketing blog (34k subscribers) that went offline somewhat mysteriously about two years ago. Even more strangely, the site went offline even though it wouldn't have required much upkeep to be fairly profitable given its traffic. Hubspot, the company requesting the link, runs an even more popular web marketing blog. They would obviously love to capture some of the doshdosh.com PageRank. What's amazing is how much of this process can be automated. The DoshDosh urls can be pulled from the web archive. The sites linking to those urls, ordered by PageRank can be done through the amazing SEOMoz Site Intelligence API. The link request templates could then be assembled in excel. In short order, hundreds of requests could be sent out. I think calling this vulturing is apt. 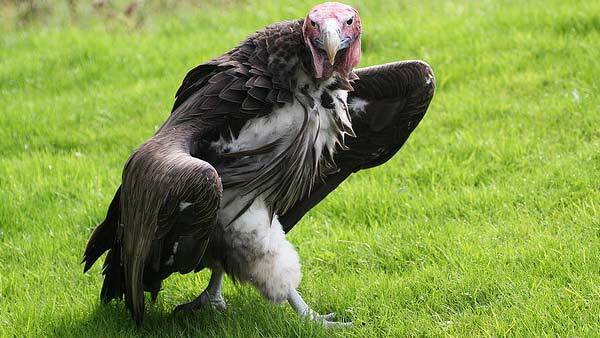 In nature, the vulture benefits and survives by playing a critical first step in the decomposition process. The web has always been plagued by dead links that infrequently get fixed. This tactic could become more widespread; it's automated and fairly symbiotic to the requester and the requestee. So have we updated our dead link? Not yet. We probably won't -- we're just not sure how we feel about it.